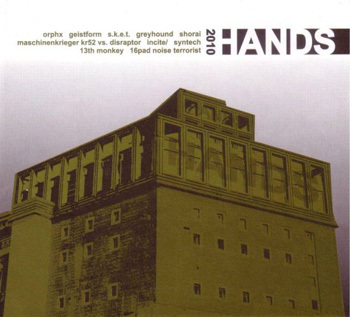 Frisch bei Hands Productions erchienen: 2010 Hands, die Label-Compilationin Form einer fetten Doppel-CD mit 30 exklusiven Tracks – jeweils 3 pro Artist! Mit dabei auch 13th Monkey mit 3 Exklusivtracks: Boulder Dash, Incus, Syphon! Direkt bei Hands erhältlich! Just released by Hands Productions: 2010 Hands, the label-Compilation – featuring 30 exclusive tracks, 3 per artist on a double cd! And as you may guess, also included are 13th Monkey with 3 exclusive tracks: Boulder Dash, Incus, Syphon! Order it directly at Hands!